Maine shipyard workers guide one of four "Ultra Units" for DDG-1000, the lead ship of the Zumwalt-class of guided missile destroyers, recently. Work on DDG-1000 is now over 50 percent complete. A rendering shows what the DDG 1000 ships Bath Iron Works is building will look like. The two new destroyers are part of the Zumwalt class. BATH, Maine — The shipbuilders at Bath Iron Works will have work for years to come thanks to a Pentagon decision Thursday to award construction contracts for two next-generation destroyers to the Maine company. U.S. Sens. Olympia Snowe and Susan Collins hailed the announcement as another indication of the value of BIW’s worksmanship to the national defense. 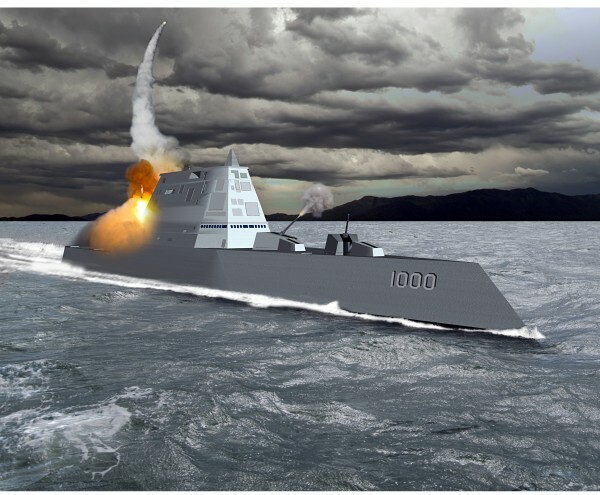 According to press releases from both senators, the Navy and General Dynamics, BIW’s parent company signed the contracts for the second and third ships in the DDG-1000 series. They will be known as DDG-1001 and DDG-1002 while they are under construction. “It will ensure a strong and steady workload at Bath Iron Works for the next several years,” said Snowe. Collins said in a press release that BIW has “set the standard for producing high-quality ships for the Navy at the best value,” which was a key factor in Thursday’s contract signing. The two new destroyers are part of the Zumwalt class. BIW’s contract is for between $1.8 billion and $2 billion for the two ships. 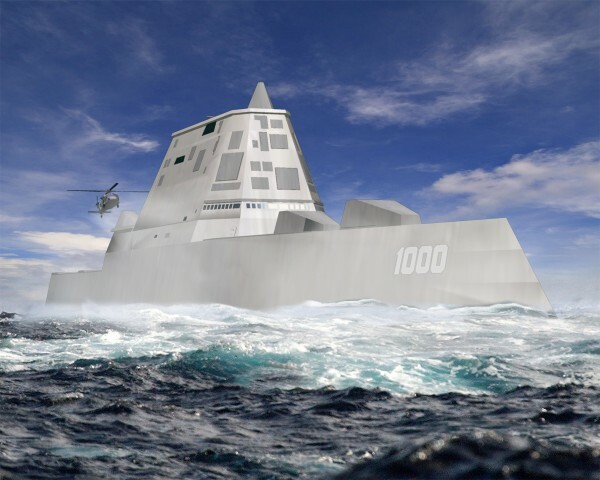 The first ship in the series, DDG-1000, which will become the USS Zumwalt, is already about 50 percent complete and sits in pieces at BIW, said company spokesman James DeMartini. 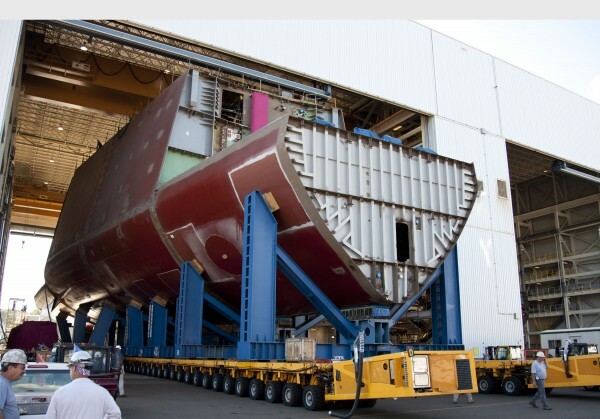 Its keel laying ceremony is scheduled for November of this year with a target for completion of 2014. DDG-1001, the future USS Michael Mansoor, is already under construction and about 15 percent complete, said DeMartini. The Mansoor has a delivery date of December 2014. DDG-1002, which has not yet been named, has a delivery date of February 2018. BIW already has procured some of the materials necessary for its construction, said DeMartini. DeMartini said General Dynamics and the Navy signed a memorandum of agreement for the contracts in August and have been working on the details since then. Geiger said the support of Maine’s congressional delegation has been “crucial” to the health of BIW. Contracts in the DDG-51 Arleigh Burke series — the last of which is still under construction at BIW — were shared by General Dynamics and Ingalls Shipbuilding in Mississippi. To date none of the DDG-1000s have been awarded to Ingalls. In addition to being guided-missile destroyers and surface combatants, the Zumwalt class also will be capable of what is known in the military as “littoral combat,” meaning in shallow waters close to shore. The Zumwalts also require a far smaller crew to operate than the Arleigh Burkes. In a joint statement, U.S. Reps. Mike Michaud and Chellie Pingree, both Democrats representing Maine, lauded Thursday’s news. “These contracts took a long time to negotiate and even though [Navy] Secretary [Ray] Mabus had promised there wouldn’t be layoffs due to delays in signing the contracts, I think everyone is glad the Navy has now finally signed on the dotted line and workers can feel more secure about their future,” said Pingree. “The announcement is good news for our national defense and for our economy here in Maine,” added Michaud. More good news for BIW could be on the horizon, according to Snowe. Debate is under way within Congress and the Pentagon regarding adding ships in the Arleigh Burke series. Those ships would bolster the U.S. Navy or possibly be sold to Saudi Arabia, as reported by the Bangor Daily News last month.